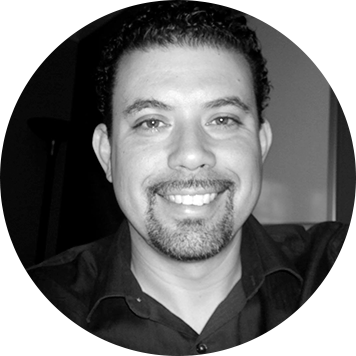 Jose Gomez has been speaking to nonprofits and businesses about websites, internet marketing, and building organizations since 2001. His style is straightforward, but respectful and caring. With subtle humor and down-to-earth language, Jose has a talent of making complex technological and marketing issues easy to understand and easy to relate with. Great for new entrepreneurs and prospective nonprofit founders, this workshop takes attendees through the basics of vision, plan, and execution, giving them all the tools they need to start their business or nonprofit immediately. A great web presence doesn't happen by accident. Attendees can expect an extensive overview of the planning process for everything they need - from their website to their social presence. Jose covers internet advertising, e-mail marketing, content management, and more. A website and social media presence is nothing without content. But, with so many initiatives and priorities to handle, who has the time to create quality content, much less publish it? Jose walks attendees of this workshop through easy-to-stick-to strategies that will boost their content production within the time they have available. What drives traffic, sales, donations, volunteers, and fans to your web presence? Jose covers the main foundational principles of internet marketing with the attendees of this workshop, giving them a crash course into the strategies and tactics designed to siphon the pump and give them the confidence they need to market their businesses or nonprofits. Workshop M002: What's REALLY Up with Social Media? Social media can either have a tremendous payoff for your organization or it can be the biggest time and money drain you've ever had. Jose discusses the effective use of social media technologies in conjunction with an overall web presence to send engagement and conversions through the roof. If you would like Jose to speak at your upcoming event, please fill out the form below. A message will be sent to us for consideration and someone will contact you back immediately.